Everyone is busy gearing up for a new year. Here at my Long Grove dental office, we’ve been working on our New Year’s resolution lists too. What’s on yours? More exercise? More time to relax? A new hobby? 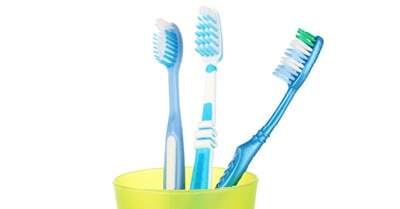 Whatever is on your list already, I’d like to suggest that you add more regular dental hygiene visits. Even if you don’t have a lot of plaque buildup between cleanings and you take great care of your teeth, you still have a certain amount of biofilm on your teeth. And that biofilm needs to be disrupted with regularity to prevent gum disease and other health problems. Now more than ever, science is discovering clear and direct links between oral health and whole body health. Eat only at meal times. Why? For about 20 minutes after you drink or eat anything, especially sugary foods and candies, your mouth is under attack. If you tend to eat and snack throughout the day, your teeth will be exposed to harm for much longer than they should be! Try to do all your eating at once and try to choose treats that aren’t sticky or chewy. Remember that sweets affect more than your middle. Sugar can have devastating effects on your diet, but it isn’t good for your mouth either. Instead of sugary foods and drinks, or foods high in carbohydrates (which turn into sugar and feed bacteria too), try foods high in protein, calcium, and phosphorous like nuts, chicken, and cheese. Include crunchy fruits and vegetables for their water content and tooth-cleaning properties as well. If you are going to drink a lot of red wine and coffee over the holiday season, keep in mind that these are very staining. Consider scheduling a post-holiday whitening and cleaning to get your teeth back in shape after all the indulgence. Keep up on your regular cleanings and checkups. The more we see your teeth, the more likely we are to catch problems like gum disease, oral cancer, cavities, and other wear and tear. That means more saved teeth and more saved money as well! Don’t get lazy about your home hygiene routine either. Be sure to brush and floss twice a day and more often if you are snacking a lot. remember that your oral health affects your whole-body health. If you have any questions or concerns, please call my Long Grove dental practice today. We are here to help our Long Grove, Buffalo Grove, and Lake Zurich friends and neighbors find better health and stronger smiles in the new year.